A leading eye care provider in St. Louis, Missouri, helping you and your family maintain clearer vision through every stage of life. At Jerde Eye Specialists, we specialize in providing the absolute best eye care to Sunset Hills, Webster Groves, Crestwood, Kirkwood, and other surrounding St. Louis areas. 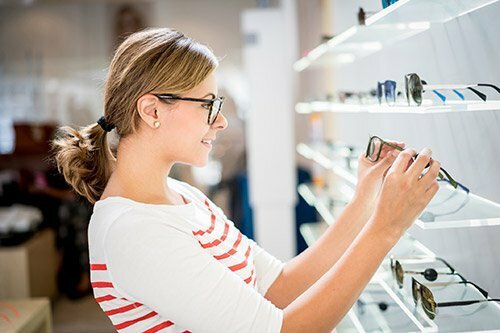 Our mission is to become the first and last name you think of whenever you need high quality, budget-friendly, same-day glasses and frames, specialty contact lenses, affordable sunglasses in a full variety of styles, annual eye exams, or convenient treatment for eye diseases and conditions. We treat every patient at Jerde Eye Specialists as a member of our eye care family. This includes taking the time to truly get know your vision needs and providing the kind of eye care we would want our own families to receive. By shaping our practice around proven, state-of-the-art technology and techniques we trust, our patients know exactly who they can trust to safeguard their vision. Shop on-the-go or from the comfort of your own home for the custom contact lenses and affordable eyewear you need.